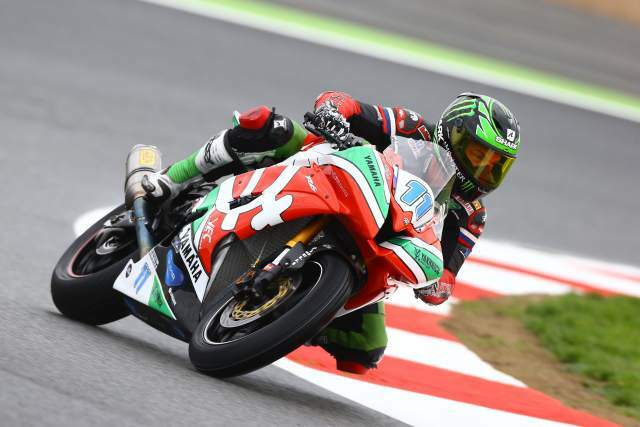 NEWLY crowned World Supersport Champion Sam Lowes will make the move into the Moto2 Championship next season with a two-year agreement with the Speed Up team. News of the British rider's imminent switch to Moto2 comes despite his already having signed agreements with the Yakhnich Motorsport team and Yamaha to progress into the Superbike class for the 2014 season. Yakhnich Motorsport announced the British rider would be departing the World Supersport Championship to debut in Moto2. The team said in a statement: “This decision was taken in agreement between parties which was concluded instead of the previous one that was valid until 31 December 2015. “Next two years Sam Lowes will race in Moto2 and meanwhile he will continue his collaboration with Yakhnich Motorsport in marketing and PR activities. “Both parts agreed that so talented rider must prove his skills in other championships than the World Supersport championship in which he rode for the last five years. “In summary, Yakhnich Motorsport is proud of Sam Lowes being the team member and also that could achieve high results. On the other hand, Sam Lowes appreciates the team who believed in his talent and let him boost his career in the top level championships. The 23-year-old told bikesportnews: “I will move into Moto2 with the Speed Up manufacturer but I'm not sure about what the structure will be. It's the best move in my opinion as I want to be in GP and being in that paddock is the best thing for me.